I spent a solid hour in front of the mirror this morning, preparing for the first day of GeekGirlCon 2017. My outfit was already laid out on my hotel bed, and I sat peppy-eyed and ready in front of the mirror, a splay as makeup scattered about. A morning ritual I do often, but something about getting ready to spend the day covering panels, live tweeting, and flat out expressing my geekdom made it all the more special. I mean heck, it was the first day of GeekGirlCon 2017! When I’m not reading my daily dose of YA fantasy, spending hours regretting my latest playthrough of The Witcher 3’s ending, or rewatching the entire Lord of the Rings trilogy, makeup plays a major role in my geeky life—all of fashion does, really. Dressing down or dressing up, fashion is just as important to me as a good book or a good game. My (functional, yet decidedly trendy) vestment of choice is a super villain-esque pair of running pants that pass for “real” pants, paired with a leather jacket—just like I waltzed out of the Slytherin common room. I adorn a subtle, but graphically appealing nerdy tee, add a full face of makeup and I’m good to go. 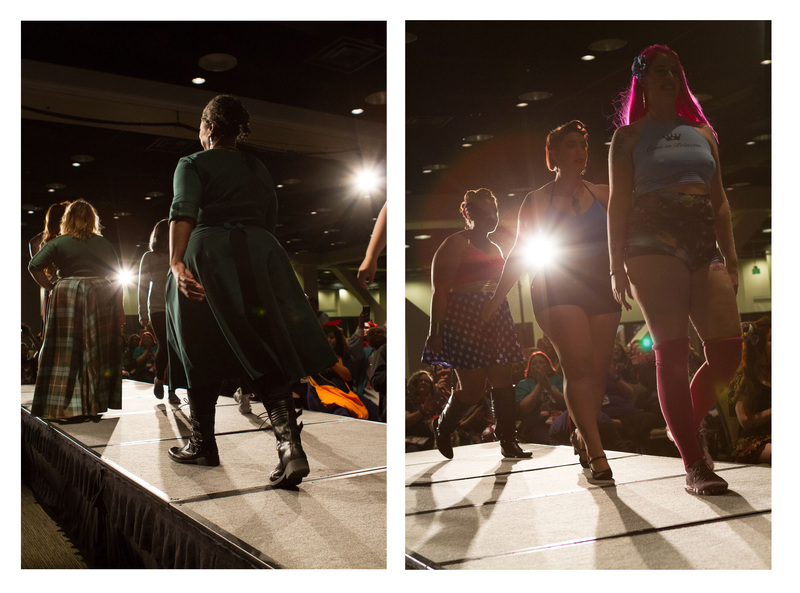 This year we brought back the GeekGirlCon Fashion Show. Tonight, the main stage was lit up with body-positivity, a collection of proud, geeky designers and models—and a surprisingly robust playlist of modern music covers (but like, super geeky covers, I’d never heard “Talk Nerdy To Me” before). Seeking Models for the GeekGirlCon 2017 Fashion Show! UPDATE: The deadline for applying to be a geek model has been extended to Tuesday, September 12! Are you a geek who loves fashion? 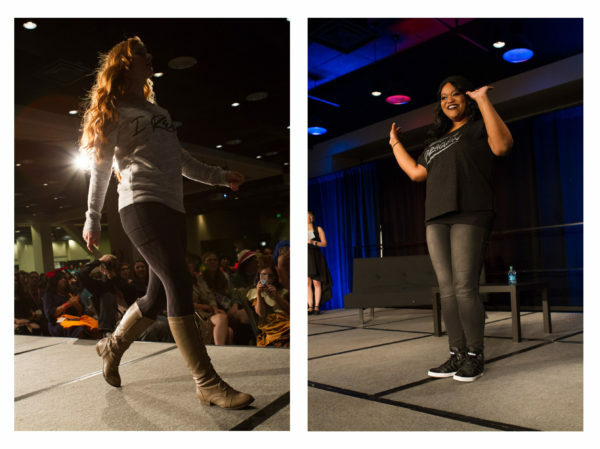 Own the runway Saturday, September 30 at the GeekGirlCon Fashion Show! We are looking for a diverse group of individuals to model outfits created by designers from six geek fashion companies. Come be part of an evening that both highlights how empowering geek fashion can be and addresses the steps still needed to make geek fashion truly inclusive for everyone. 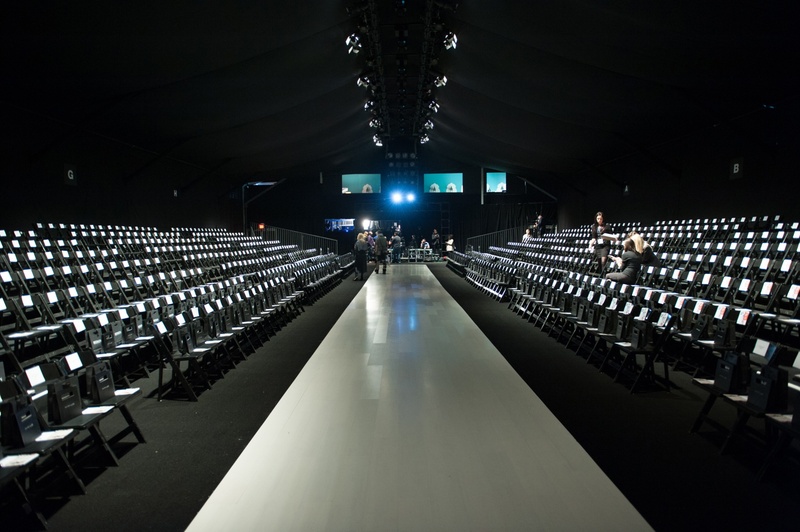 Experience what goes on behind the scenes at a fashion show and enjoy your time in the limelight with a fun community of design-minded geeks. Time is short and space is limited, so get your application in by Tuesday, September 12 at 9:00 p.m. Pacific Time to be in the running. 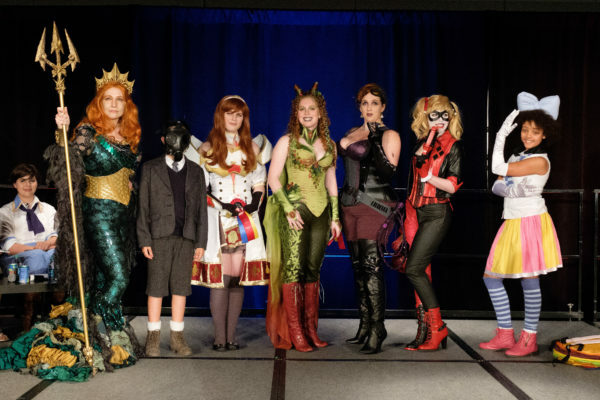 For a first-hand perspective on what it’s like to be a GeekGirlCon Fashion Show Model, check out SJ-1’s blog post The Life of a Famous Geek Model. After I attended GeekGirlCon for the first time in 2013, I was hooked. It was unlike any other convention I had attended. Its friendly environment and focus on important topics faced by the community not often given attention elsewhere made the convention a must-visit and more than worth the trip across the country for me. I’ve been attending ever since, and each year I host a panel about geek fashion, a topic which has been very important to me over the last few years. I believe fashion can be an empowering force for women in the geek community and that it’s important for it to be accessible to all women so they can express their passion for their interests. 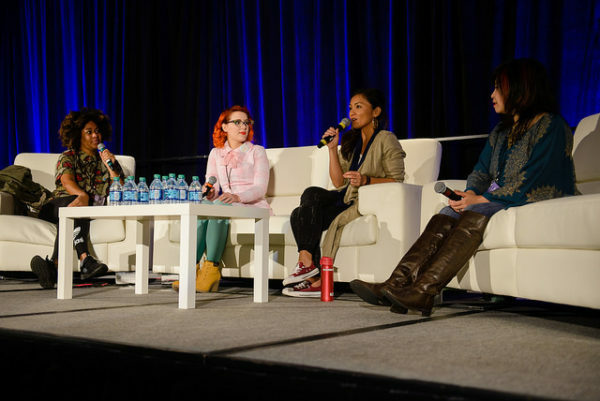 Considering GeekGirlCon’s mission and my own recent efforts to write and speak about how empowering geek fashion can be, I thought about how the convention could be a great place for a diverse fashion show. 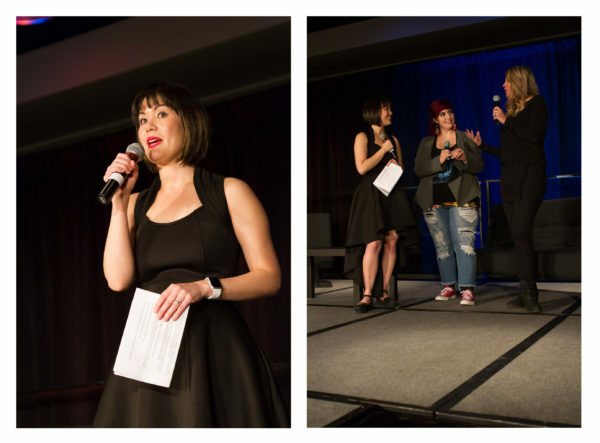 With its goals, GeekGirlCon could host a different type of show for the geek community that not only could spotlight the amazing, empowering geek fashion created by fantastic local companies, but also discuss what still needs to be improved in the industry so everyone can show off their geeky side. 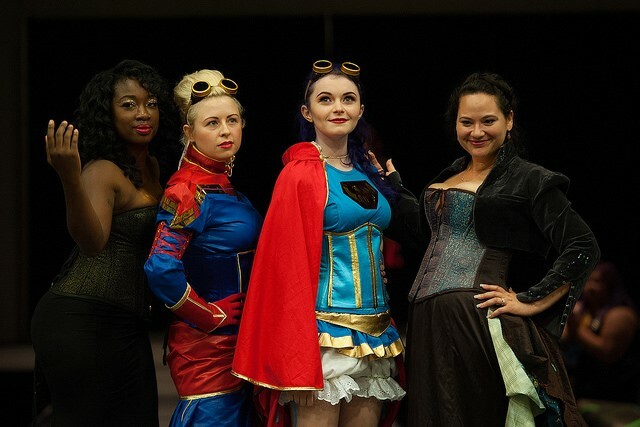 It’s amazing how a small idea has now bloomed thanks to the talented efforts of the GeekGirlCon staff into the first-ever GeekGirlCon Fashion Show in partnership with Espionage Cosmetics and PNW Fattitude. At the con this year, we will have an amazing group of models joining us on the runway to display a range of great geek fashion. The designers will be talking with us about what inspires them and how they got started combining their geeky interests with fashion. 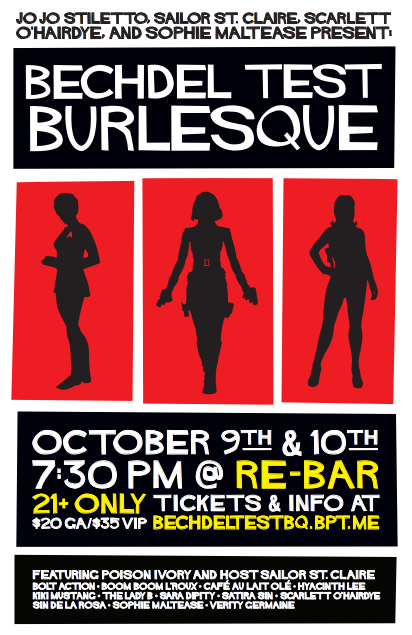 I’m honored to be hosting the show and hope you will join us Saturday, October 10, at 8 p.m. in room 301/302 in the WACC! The first 100 attendees will receive a free swag bag filled with items from our sponsors and everyone will get a raffle ticket for great prizes. 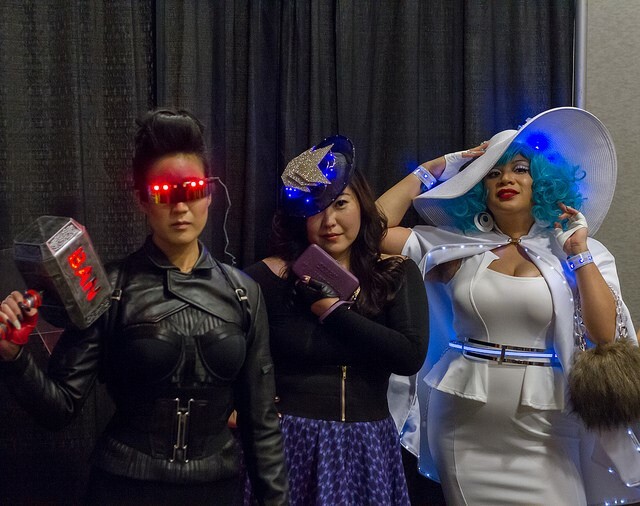 Come decked out in your own great geek fashion and share the experience on social media with the hashtag #GGC15Fashion!